Hello Riverview Neighbours and Friends! 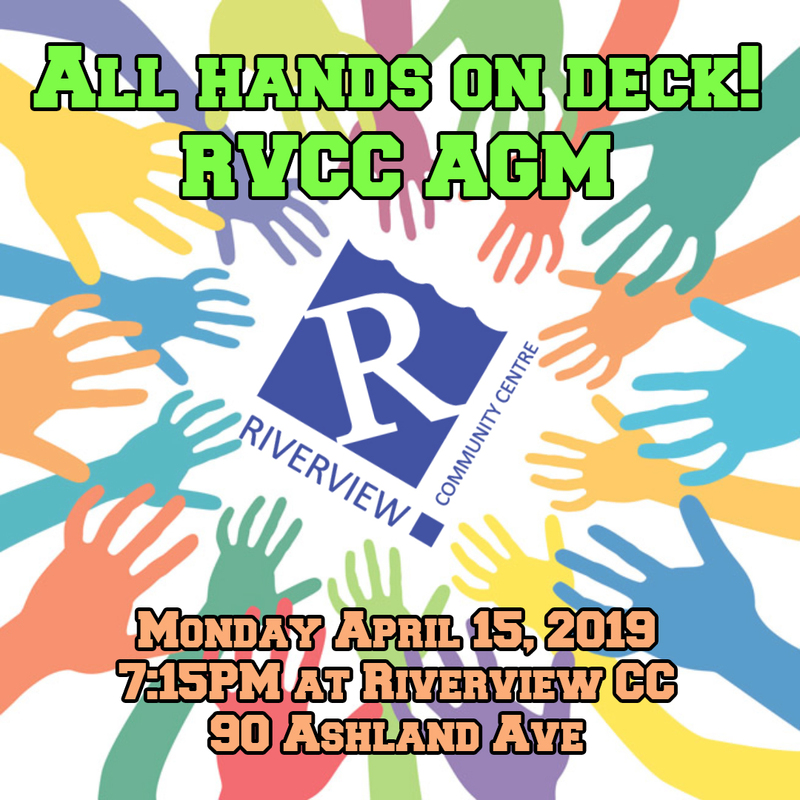 We will be hosting our Annual General Meeting at the Riverview Community Centre on Monday, April 15, 2019. Please consider joining us and sharing your feedback about what direction you would like to see the RVCC head in. All are welcome.